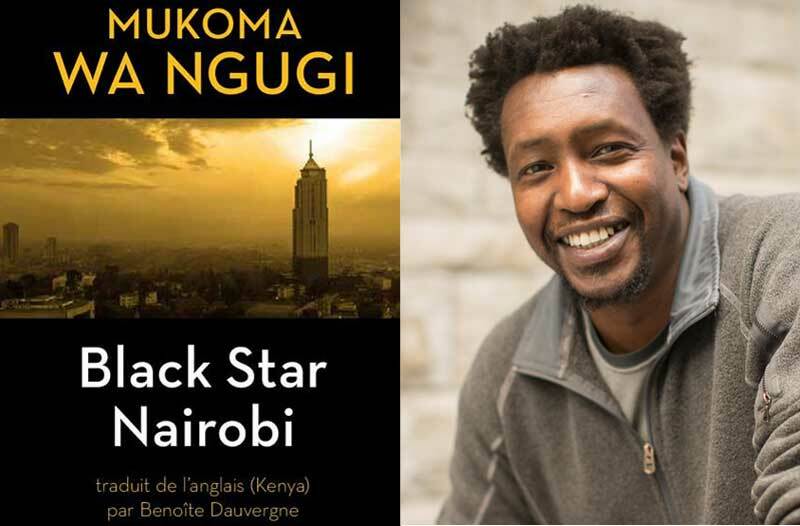 Mukoma Wa Ngugi’s “Black Star Nairobi” French language edition imminent. The French language translation of Mukoma Wa Ngugi’s Black Star Nairobi is almost here. Many readers of this blog are familiar with the writing of Kenyan author, poet, and academic Mukoma Wa Ngugi. He is the author of the two detective novels Nairobi Heat and Black Star Nairobi (Killing Sahara) which follow the exploits of US police detective Ishmael Fofona and his Kenyan colleague David Odhiambo. He has also written Mrs Shaw which we reviewed in the Saturday Nation and the nonfiction offering The Rise of the African Novel: Politics of Language, Identity, and Ownership. In February, it was announced that the French Language edition of his novel Nairobi Heat would be coming in April. It has emerged that a French translation of the novel’s sequel Black Star Nairobi is almost upon us. That book which we loved has the following blurb. Two cops—one American, one Kenyan—team up to track down a deadly terrorist. It’s December 2007. The Kenyan presidential elections have gotten off to a troubled start, with threats of ethnic violence in the air, and the reports about Barack Obama on the campaign trail in the United States are the subject of newspaper editorials and barstool debates. And Ishmael and O have just gotten their first big break for their new detective agency, Black Star. A mysterious death they’re investigating appears to be linked to the recent bombing of a downtown Nairobi hotel. But local forces start to come down on them to back off the case, and then a startling act of violence tips the scales, setting them off on a round-the-globe pursuit of the shadowy forces behind it all. A thrilling, hard-hitting novel, from the author of Nairobi Heat, a major new crime talent. There is no indication yet of when the book will be available. Or its Gikuyu version. Previous Previous post: Sitawa Nawalie, Yewande Omotoso, Shan Bartley for Artistic Encounters in November. Next Next post: Anni Domingo, Rutendo Chabikwa win Myriad Manuscript Prize 2018.